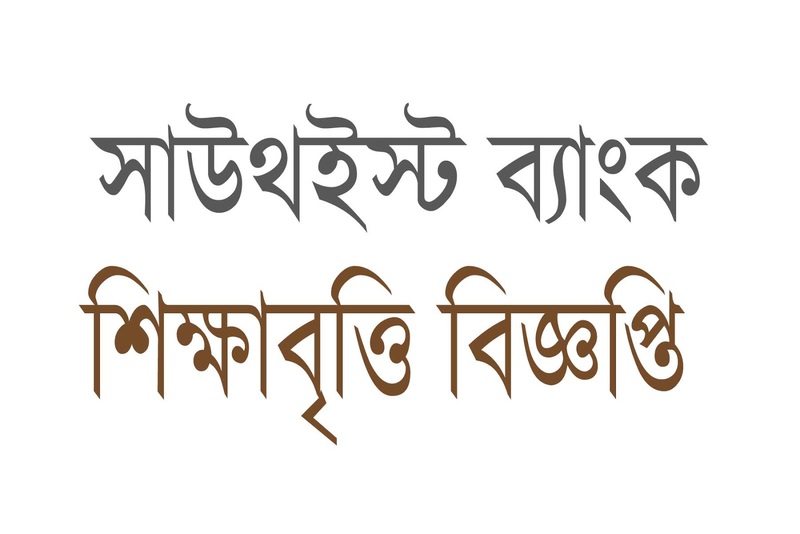 Southeast Bank Foundation will provide scholarship among poor and meritorious students who passed SSC examination in 2018. 1. For Science group: Golden GPA - 5 (without 4th Subject). 2. For Commerce group: GPA - 4.5 (without 4th Subject). 3. For Arts group: GPA - 4.0 (without 4th Subject). Monthly 1500/- taka for 2 years (for intermediate) July 2018 to June 2020. For buying books and other materials yearly 4000/- taka will be also given. How to apply Southeast Bank Scholarship? 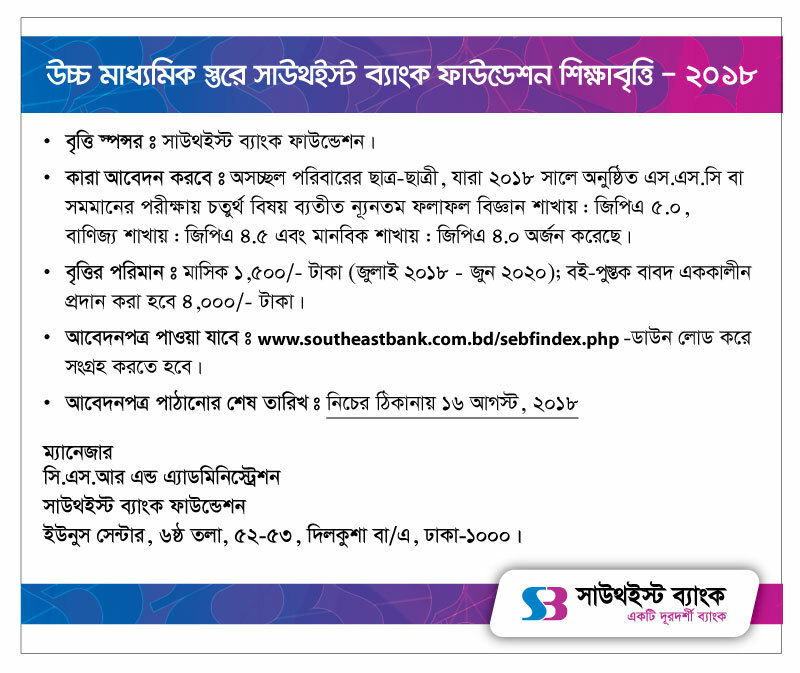 Deadline of Southeast Bank Scholarship 2018 is 16 August, 2018. Yunus Center, 5th Floor, 52-53, Dilkusha, B/A, Dhaka - 1200. For details see the following circular notice of southeast bank foundation scholarship 2018.